Is free and open source software (FOSS) a way to cut business costs? As concern about recession – even depression – deepens, more and more companies are asking this question. However, many have trouble knowing how to begin to find an answer. Certainly, many companies have been looking for FOSS solutions in the last six months. Jim Zemlin, executive director of the Linux Foundation, predicted last December that GNU/Linux and other FOSS technologies would become more attractive in hard economic times. “Lower cost, faster time to market, higher profit margins, better branding — these are all things that are in favor of Linux and not in favor of Windows,” he writes, and his comments seem accurate. According to Business Week, FOSS-based companies like SugarCRM, Digium and Zenoss, all reported record quarters last fall, while Red Hat had over $500 million in revenue over the last twelve months. Rolf Schuster, a diplomat at the German Embassy in Madrid and the former head of IT at the Foreign Ministry, estimated that the German Foreign ministry reduced its costs by two-thirds by switching to GNU/Linux. However, whether your business will save as much is difficult to estimate in advance. Given the business model of proprietary companies and the idealism of FOSS companies, any estimates tend to be colored by the interests of those who make them. Moreover, although using FOSS means that you no longer have to pay for software or upgrades, you have to realize that you may have costs associated with installation, technical support, and retraining. The safest way to explore FOSS is one step at a time. Instead of plunging into FOSS all at once, I suggest that you begin with some of your basic desktop productivity software on Windows before making any large scale transition to a FOSS operating system like GNU/Linux. Many FOSS applications have versions for both Windows and GNU/Linux — and, often, Mac OS X as well — so you can easily experiment. Then, if you decide to go ahead, you and your staff will already have some training when you switch operating systems. To help you decide, here are some basic productivity applications for you to try, and some considerations you need to take into account when moving to FOSS. Among FOSS office suites, by far the most popular is OpenOffice.org. Feature for feature, it compares closely with MS Office. Its Writer word processor is stabler than MS Word, and has strong desktop publishing tools that make it a good substitute for FrameMaker, the software of choice for technical documentation. Similarly, Calc is nearly equal to Excel, Impress to PowerPoint, and Base to Access. OpenOffice.org also has a Draw application that is not only useful for general graphics but also serves as a simple alternate desktop publisher. One especially strong reason for using OpenOffice.org is that it includes built-in PDF creation and (if you add the Sun PDF Import Extension) PDF editing. However, you might want to look at other alternatives. Neither the Abiword word processor nor the Gnumeric spreadsheet is as fully featured as MS Word or Excel, but both are complete enough for many users’ needs. The same is true of KOffice, the office suite development suite for the KDE desktop. KOffice 2.0, which will likely be released in the next few months, will include not only the basic office applications, but also vector and bitmap graphic programs, a project management tool, and several other useful additions. You can create HTML files directly from OpenOffice.org, Abiword, or KOffice. However, especially with OpenOffice.org, the resulting code is not very clean unless you make some effort to learn how to improve it. Alternatively, you can run it through HTMLTidy to clean up the file before using it. Other FOSS HTML editors available for multiple operating systems include Amaya and KompoZer, which traces its pedigree through NVu to the Composer found in Netscape. Both offer an easy to learn graphical interface, but neither is quite a match for Dreamweaver — at least, not yet. The best-known graphics program in FOSS is GIMP. GIMP is the equivalent of PhotoShop — that is, it is designed for editing raster graphics. The main differences are that The GIMP suffers from a somewhat klunky interface and has only dozens of extensions where PhotoShop has hundreds. However, you can sometimes use the GIMP User Plugin to convert PhotoShop plugins. Just as PhotoShop has in Illustrator a twin for vector graphics, so many people pair GIMP and Inkscape. 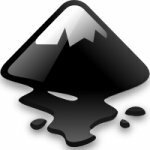 Although Inkscape has yet to reach a 1.0 release, many people already use it for professional production, just as they do The GIMP. Another matching pair of applications is KOffice’s raster editor Krita and vector editor Karbon14. In fact, many users consider these applications the outstanding features of KOffice. If you are looking for a diagram or charting program, a good place to start is with the Drawing Toolbar that is available in OpenOffice.org Draw. The toolbar includes a large set of flow chart shapes (although you have to know what they are in order to use them), as well as connecting points and arrows. Turn on the grid background, and you have a relatively close match for Visio. An even better choice is KOffice’s Kivio, a dedicated charting program. Some people have complained that early versions have been buggy, but the upcoming 2.0 release already shows signs of providing greater stability. Meanwhile, you might consider the standalone program Dia. The Firefox web browser is a FOSS success story, having come out of nowhere to seize a 20% market share despite the dominance of Internet Explorer. It is enhanced by thousands of extensions, with more being produced almost daily. The Konqueror web browser for the KDE desktop is less well-known, but also has a loyal following. Keep an eye out, too, for Google’s Chrome browser, which is currently available only on Windows, but is supposed to have a GNU/Linux version at some point. Among email readers, Mozilla’s Thunderbird is almost as well-known as Firefox is among browsers. However, if you are looking for a tool more like Outlook, then KMail, with its connections to other personal information management tools, or Evolution, which was designed as an Outlook equivalent, might be a better choice. For IRC, which is used by many development teams, you have a choice of at least half a dozen FOSS tools. Ones you can use on Windows include Pidgin and Xchat. OpenOffice.org includes a database called Base, which has the advantage of being able to use both spreadsheets and all the types of database servers that you are likely to encounter. However, like Access, Base does not scale especially well. For serious database use, both MySQL and PostgreSQL are robust and fully-featured alternatives. These are only suggestions for beginning your exploration of FOSS in your business. As you grow more comfortable with FOSS, you might want to try other applications — for instance, Alfresco if you are a Sharepoint user, SugarCRM for customer relations management, or Deki for a collaboration platform, and GNUCash for accounting. You can find lists of usable software at the OssWin Project, which tracks FOSS for Windows, or at osalt.com (Open Source as an Alternative). Eventually, you might want to switch operating systems altogether. While FOSS includes a wide variety of operating systems, including FreeBSD and OpenSolaris, the most widely-supported choice tends to be GNU/Linux. With GNU/Linux, you have number of variations, or distributions that provide desktops for the average user, notably Fedora, Mandriva, openSUSE, and Ubuntu, which is rapidly becoming the best known distribution of them all. Perhaps as an intermediate step, you might want to look at Wubi, KDE on Windows, or the Ulteo Virtual Desktop, all of which allow you to run GNU/Linux desktops and applications from within existing Windows installations (Note that you will need KDE on Windows to run KOffice and other KDE programs on Windows). Similarly, when you do convert to GNU/Linux, you might look at VirtualBox, CrossOver Office, and WINE, FOSS projects that will help you run Windows programs under GNU/Linux, just in case you have the need for some specialized program that doesn’t have a fully functional FOSS equivalent. As you go deeper into FOSS, you will also need to consider changes to your support infrastructure. In most major urban centers in North America or Europe, you should be able to find system administrators able to help you maintain your FOSS software. Possibly, though, you will prefer to deal with a company that offers traditional software support, such as Red Hat or Novell. Another important consideration is FOSS governance. Because FOSS is often free for the download and costs nothing, it can easy bypass your procedures for software procurement. If you are not careful, your company can find itself obliged to follow license agreements that you never planned on, or being in violation of them. To minimize such problems, you might want to talk to companies like Palamida or Black Duck Software, which offer tools for administering such projects, or become involved in FOSSology, a project to provide FOSS tools for governance. You can save money moving to FOSS, but to do so you need to plan slowly. Take the transition in stages so that your staff isn’t overwhelmed, and be aware of the infrastructure you’ll need in your move, and the process should be less painful — and, ultimately, more inexpensive and successful. This entry was posted in Open Source and tagged free software, Linux, Open Source on March 2, 2009 by WorldLabel Editor. I would like to add Sun’s approach in Open source! Adding Java,Solaris 10,MySql,VBox..listing of new projects goes on! This’ll surely kill Microsoft! Google is always treat to Microsoft in same respect! Pingback: Worldlabel.com Blog » Moving to Linux: slow-go or rip-and-replace? Pingback: Rich on Linux and FOSS! » Blog Archive » blog.worldlabel.com : Moving to Linux: slow-go or rip-and-replace? Nothing better than free, open source software. Thanks for sharing these! GIMP is an amazing program.